Although poetry is a form of self-expression that knows no bounds, it can be safely divided into at least three main genres: lyric, narrative, and dramatic. Beyond these genres, it's difficult to define poetry. One way to define a poem is to say it's a composition that uses words to infer emotions in an imaginative way, striking a chord with readers across the globe and throughout the generations. Instead of sitting down and saying, "I'm going to write a poem," why not try tackling a certain genre? After reading the following examples of poetry genres see what flows naturally out of your heart and onto the page. Lyric poetry is especially song-like and emotional. Sonnets and odes are examples of poems that are lyrical in nature. Lyric poems do not necessarily tell a story but focus on more personal emotions, attitudes, and the author's state of mind. 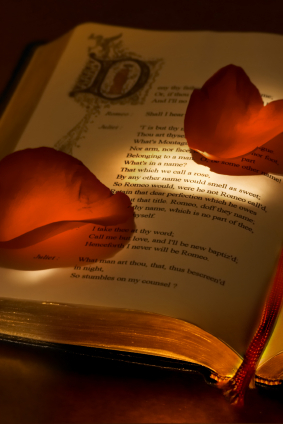 Let's take a look at sample poems from Keats and Browning. See if you can pick up on the lyricism, or song-like quality, and emotion. These aren't merely about superficial snippets in time. Rather, they illustrate strong emotion. Here's an example of lyric poetry by English Romantic poet John Keats. This excerpt is taken from "Ode on a Grecian Urn." Notice it doesn't tell a story, per se. Rather, it focuses on his interior thoughts. Elizabeth Barrett Browning's famous poem "How Do I Love Thee" is another example of a lyric poem. The themes of Love, hate, fear, and death comprise many poems and stories. They're the most moving emotions humans can experience. So, while Keats addressed dying above, Browning approaches the equally large topic of love. A narrative poem tells a story. Typically, these can be read aloud and will maintain the audience's attention due to their rhythmic movement. In fact, many narrative poems of the past were initially written as ballads. That is, they were intended to be paired to music. In the end, though, they maintained their lyricism in the form of poetry. Narrative poems are usually of human interest and include epics, or long stories. Although narrative poems have an element of lyricism to them, the point is they're relaying a story, as opposed to harping on an emotion. Let's enjoy one of Poe's most famous poems, as well as a sampling from Edna St. Vincent Millay. Following is the last stanza of Edgar Allan Poe's poem, "The Raven." Note the flow to his prose. It is kind of sing-songy. And, you can surmise he's speaking of death. But, this is classified as a narrative poem because it tells a story. A series of events unfold as we envision the raven for ourselves. Edna St. Vincent Millay's "The Ballad of the Harp Weaver" is another example of a narrative poem. Again, you'll notice an element of emotion - sadness - but, in the end, this poem is telling a very specific story. Here are the first three stanzas. Dramatic poetry encompasses a highly emotional story that's written in verse and meant to be recited. It usually tells a story or refers to a specific situation. This would include closet drama, dramatic monologues, and rhyme verse. You might wonder about the difference between narrative and dramatic poetry. First, narrative poetry often has a narrator, or a single person relaying the take. A second difference lies in the opening of each form of poetry. Narrative poetry tends to set the scene and describe what's happening, whereas dramatic poetry tends to lead with a main character entering the scene and speaking. Let's take a look at a couple of samples from Robert Browning and Pedro Calderon de la Barca. Here is an excerpt from the opening of Robert Browning's "My Last Duchess." Notice how he sets the scene, allowing us to envision the painting on the wall. Then, he goes on to tell a story. Half-flush that dies along her throat." Following is an excerpt from a dramatic poem titled "The Dream Called Life" by Pedro Calderon de la Barca. The scene is immediately set with one word - dream. After that, we enter into a swirl of emotion as the writer tells us a story. DREAM it was in which I found myself. Poetry is an escape from the mundane moments of everyday life. In our last example, we were swept away from this world into a dreamland. There's no denying some of de la Barca's verses are a true escape. And that's where the beauty of poetry begins. It's a form of self-expression. We go to school, do homework, and take on chores around the house, but how often are we able to stand up and recite a ballad? For more on exactly that, here are some tips on writing poems. So, go ahead; welcome poetry into your everyday life. You'll be glad for these moments of escape. One of the looser, less restrictive forms of self-expression is free verse poetry. Take a look at our examples and see if this genre might tickle your fancy too. "Examples of Poetry Genres." YourDictionary, n.d. Web. 18 April 2019. <https://examples.yourdictionary.com/examples-of-poems.html>. Although poetry is a form of self-expression that knows no bounds, it can be safely divided into at least three main genres: lyric, narrative, and dramatic. Beyond these genres, it’s difficult to define poetry. One way to define a poem is to say it’s a composition that uses words to infer emotions in an imaginative way, striking a chord with readers across the globe and throughout the generations. Instead of sitting down and saying, “I’m going to write a poem,” why not try tackling a certain genre? After reading the following examples of poetry genres see what flows naturally out of your heart and onto the page.